Torus Measurement Systems Limited based at our main site and head office in Telford UK supply automated measurement and testing machinery direct to our high volume manufacturing clients around the world. Providing both on-line and off-line data using a range of sensing and software technologies, our systems enable clients to control high speed processes, reduce costs and maintain quality often in demanding environments. Our products are supplied and supported either direct from the UK, through our Torus Americas based subsidiary below and through a network of global partners. Our inspection services and products business also based in Telford UK provide high level Contract Inspection, Scanning, Machine Programming, Training, UKAS Verification, Calibration and related work holding products to all customers who have a requirement for maintaining and improving product quality, developing new products and meeting intermittent peak demand for quality control. Our business is registered to ISO 9001:2008, ISO 10360 and accredited to UKAS standards for machine verification and first principles measurements. Our procedures are maintained, externally audited and rigidly enforced to guarantee best practice. Torus Automation Limited based at our second site in Telford UK provides design and assembly services for a wide range of Machine Structures, Machine Enclosures, Environmental Solutions, Modular Construction, Conveying & Loading Systems and Work Stations. 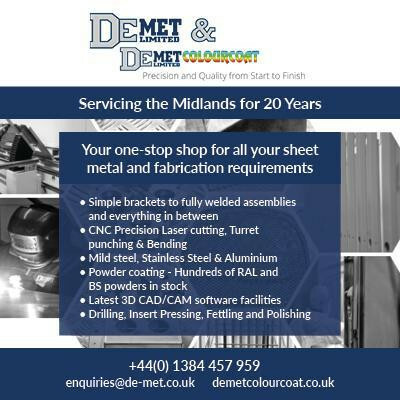 These products are supplied both internally for use in our own range of automated products and externally to customers in need of modular and cost effective machine building solutions.